Just Listed :: Charming Open Floor Plan in Smyrna! Welcome Home! This is just the home you’ve been looking for! The flowing floor plan, custom features, and charming character will never go out of style! The close proximity to I-75, I-285, Windy Hill Road, and South Cobb Drive makes it convenient to and from any direction. You’ll enjoy being only minutes from many popular restaurants and shopping spots! · Kitchen features stainless steel appliances, granite countertops, ample cabinet space, pantry, and tile backsplash. · Spacious family room boasts a vaulted ceiling, cozy fireplace, and plenty of natural light. · Main level master suite is a true retreat including a vaulted ceiling, walk-in closet, and bath with double vanity, jetted tub, and separate shower. · Additional bedrooms are well sized and bright, and are connected by a Jack and Jill style bathroom. · Sunroom/Lanai is great additional living space. · Wonderful outdoor space includes a patio overlooking the fully fenced backyard. · Neighborhood amenities include a well-maintained pool, tennis courts, playground, and pond. 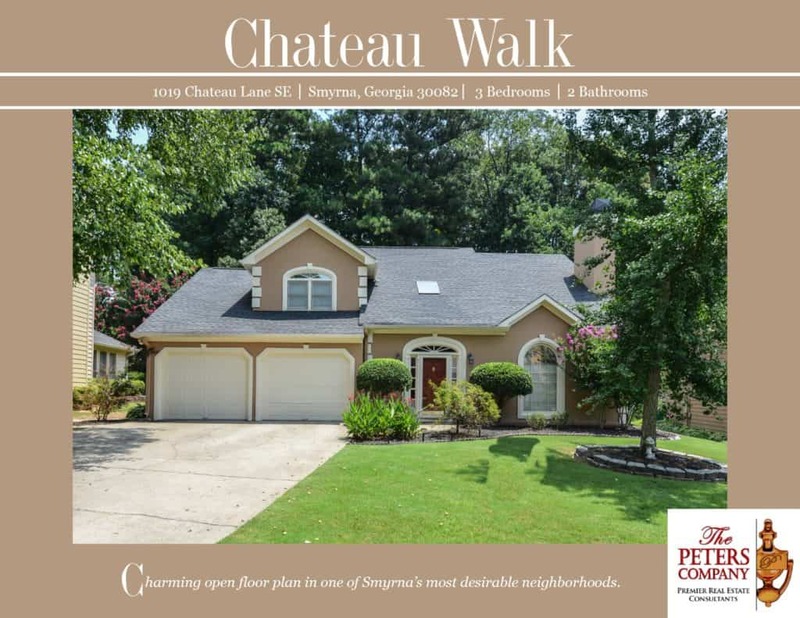 Call The Peters Company today to see this wonderful home at 1019 Chateau Lane SE… 404-419-3619!